Wellness — a questionable movement that supposedly encompasses all manner of ways to rebuild our physical health, restore our mental sanity, and just generally ensure that we’re living our very best lives — can be exhausting. So many possible cure-alls to investigate, so little time. By our estimation, the best way to ride the wellness wave is not by speeding across town to hunt down the latest antioxidant. It’s by booking a trip to somewhere truly serene and surrendering yourself to everything on offer. Maybe it’s ambitious and a little bit ludicrous to adopt wellness as an entire lifestyle, but we’ll say this: it works pretty damn well as a vacation. Water tapped by a geothermal power plant filled up a nearby lava field to form a mineral-rich lake back in the ’70s. Thanks to its cleansing properties and stunning turquoise colour, it has gone on to become one of Iceland’s most popular attractions — which usually means giant crowds. Dodge them by checking in at this five-star resort. 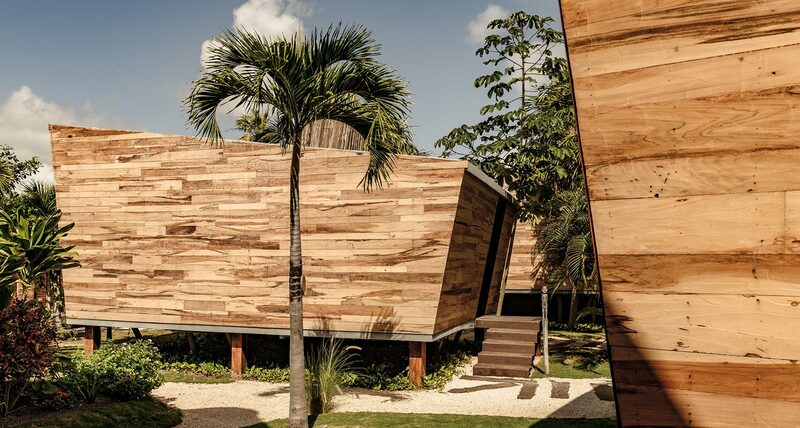 Built into the surrounding lava rocks, and with a palette inspired by the surrounding landscape, it lets you escape the masses in a secluded private lagoon and subterranean spa. The Experience: The Blue Lagoon Ritual, which leads visitors through three chambers, each dedicated to a treatment incorporating one of the lagoon’s key elements: white silica, algae, or minerals. What It Treats: Those with psoriasis and eczema have long sworn the lagoon cured their skin condition — a claim dermatologists have responded to with some skepticism. In any case, the spa says its signature treatment strengthens, nourishes, and energizes skin. Seeking to take a break from endless notifications and the 24-hour news cycle? Surrender your phone to the front desk of this former monastery and spend your stay partaking in a variety of mindfulness exercises meant to draw on the natural spirituality of this setting. (Yes, that means morning yoga.) At the end, you get your phone back — fully cleaned, and ready to embark on a healthier relationship. The Experience: The Digital Wellness Escape is an 80-minute spa treatment developed in collaboration with the Mayo Clinic to massage your head, neck, shoulders, and hands in a way that a vibrating phone simply can’t. What It Treats: Digital anxiety, along with the physical symptoms that come from sitting at a computer and thumbing through a touchscreen all day. This is the place Joaquin Phoenix’s character should have checked into at the beginning of Her. Get ready: we’re about to talk energy healing. After packing up his practice in Los Angeles, Rolling Stones photographer-turned-clinical-psychologist Dr. Bobby Klein opened this sandy haven complete with massage pools, saunas, and a marble-stone hammam. Yes, most of the guests here have probably attended Burning Man. More than once. But if all of that sounds a tad too groovy for your taste, just zone out and think of it as an especially chill beach escape. The Experience: Run by a Mayan healer, Moon Temazcal Ceremonies lead you into a traditional sweat lodge and through an ancient detoxification ritual. What It Treats: Bad vibes. The endgame is described as nothing less than a total rebirth of the soul. But, since part of the ceremony proceeds go toward supporting local indigenous youth, even if you feel nothing but sweaty afterwards, your money hasn’t been totally wasted. Because sometimes the best way to regroup isn’t by kicking back. A Zaha Hadid–designed luxury hotel and casino that looks as if aliens modelled a space station after the letter “H”. Adding a much-needed watering hole to Hudson Yards, this new hot spot boasts a selection of over 250 international spirits. There aren’t any beds at this underground outpost — rather, it’s a club marketed as a “hotel for insomniacs” like Kid Cudi and Chris Pine.